Of all the couple thousand films I have watched in my lifetime, it was actually quite difficult to narrow it down to just 25 of my favorite films. I have an entire collection of movies which I adore that did not make it into the countdown. So many films that I could watch at any point and still love every scene, but only so many spots on showcase my favorites. Which is why it seems fitting to talk about some of the other films that just missed making this countdown. These are the ten honorable mentions to my top 25 favorite films of all time. I’ll give a brief explanation to each film. Who knows? Maybe some day, I’ll come back and review each of these ten movies in detail. The only Stanley Kubrick film to make either the top 25 countdown and the honorable mentions, “2001: A Space Odyssey” transcends what most movies attempt to be, and enters into a state of mind. With virtually no story, we are left with two and a half hours of atmosphere and questions about the future. Like most Kubrick films, he pays attention to every single tiny detail and draws it out for the audience to enjoy. 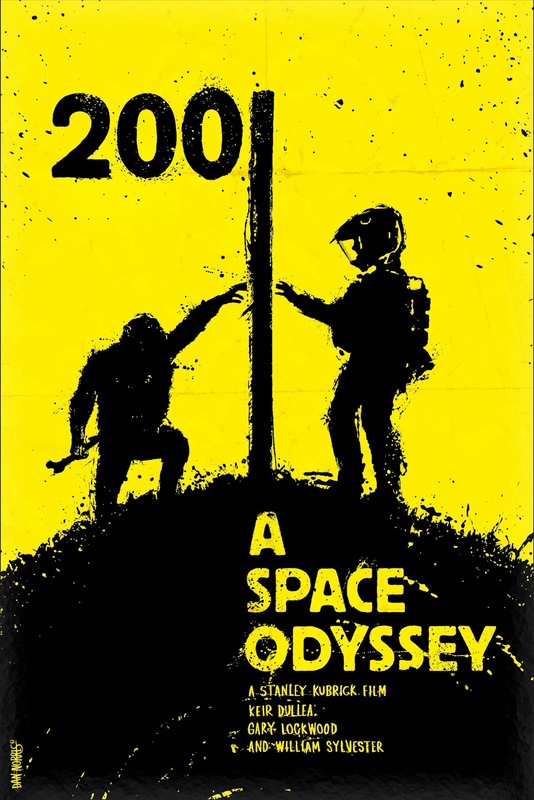 The reason “2001: A Space Odyssey” gets here over other Kubrick films is because of the scope of space, and to make a film that covers such a vast distance of time and space while keeping the audience entranced. Billy Wilder followed up “Sunset Boulevard” with this look at the newspaper business, in which Kirk Douglas finds the story of the century – a man is trapped in a collapsed cave and is slowly being crushed to death. But once Douglas is told they can rescue the man in a few days, he delays the rescue to draw out the story and take the credit for saving this man. Just as in “Sunset Boulevard,” the dialogue is crisp, but never to the point of absurdity. It is a joy to listen to these people talk about how this story needs to heard across the country. 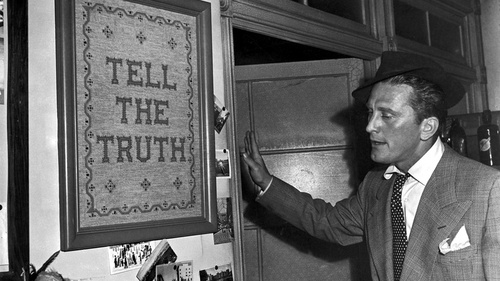 But what really gives “Ace In The Hole” its bite is Kirk Douglas’ performance. He is haunting and disturbing, yet keeps his values and morals close to his heart, even as things get far worse. “Ace In The Hole” is a tragic tale of searching for fame, only to realize that it often comes at the price of ruining innocent lives, especially in the journalism business. Of all the films Alfred Hitchcock made, he often said this was his favorite – the tale of a young Californian family that is visited by their uncle, whom one of the children is named after, only to slowly realize that the uncle may not be who he says he is. 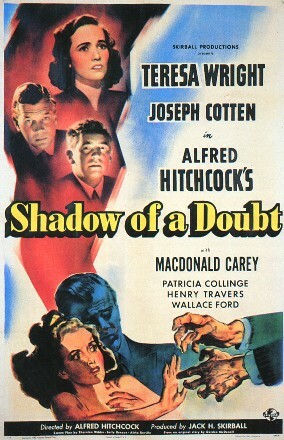 Perhaps this was Hitchcock’s favorite because it was one of the first films he made after coming to Hollywood, and it represented his own fears and doubts about the Hollywood system. Maybe it was the often brilliant cinematography that captured how small our family is to this monster of an uncle they all adore. It could also be the performances of Joseph Cotten and Teresa Wright, as they fight for their twisted morals of nature versus nurture. In any case, this is a classic early Alfred Hitchcock film that hits right at home and how family can often be a bad thing. Anton Chigurh. Just Anton Chigurh. “No Country For Old Men” makes this part of the countdown simply because of its villain, a man who feels like he must be anarchy and misery in the world. That he has no other choice but to be this evil, uncaring maniac. He certainly doesn’t get any enjoyment out of killing anyone who sees him, but he remains dedicated to causing mayhem, otherwise he would have no purpose. 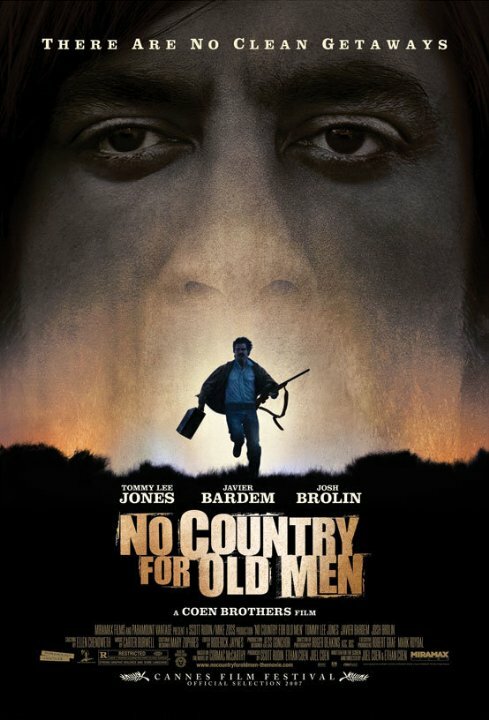 “No Country For Old Men” is, more or less, about the evolution of the dark criminal mind and how it has gotten to the point where can no longer understand it, much less control it. Anton is the perfect representation of that darkness, never satisfied with his work, uncaring about those he kills, unconcerned if he is doing right or wrong, and he couldn’t care less about any of it. A villain the perfectly encapsulates chaos, along with a mostly silent film that sees our hero get chased across Texas and Mexico for just a bit of money. This is one Coen Brothers film that won’t be forgotten soon. The next two films I have already talked about in great detail, but that’s because these are the only films on both countdowns that I have previously reviewed. In a way, I have a greater respect for them because I got to share my new-found love for these films with all of you. 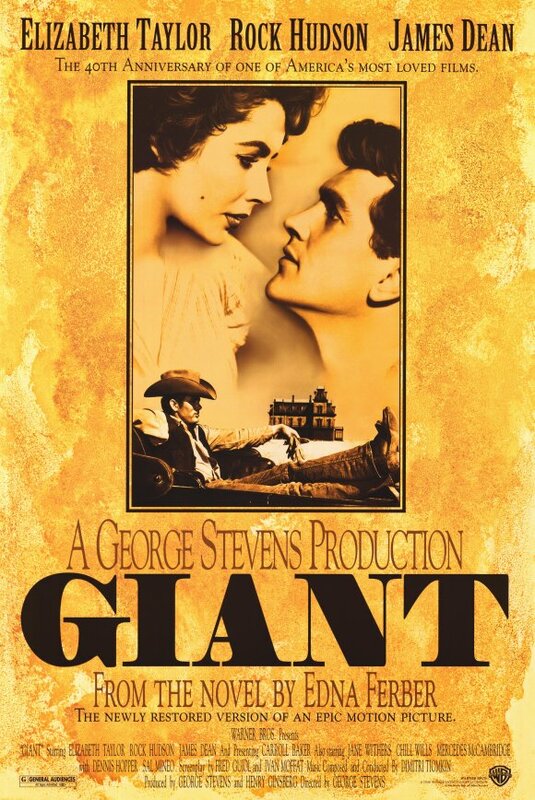 “Giant” is a perfect representation of an epic – Large scale, covering a massive range of both land, people and time, yet it still feels comfy with its focus on the Benedict family and their conflict over pride, race and legacy. We watch as the world changes, but our characters never take that into account and go ahead like the world has always been flat and was the center of the universe. The conflict between Rock Hudson and Elizabeth Taylor comes naturally, as if they came from different worlds, but see a lot of themselves in each other – their thick-headed pride, but also their devotion to their life philosophies. “Giant” feels like it takes up all of Texas, while still keeping focus on the marriage of these two and the consequences of their actions. Simple, yet innovative. This is a science fiction piece that understands technology in cinema is not just fiction, but can be relatable and logical, yet still fascinating and imaginative. I found myself just as invested in this futuristic Los Angeles as I was in the romance between Theodore and Samantha, finding a love story set in a world not too different from our own. A world where technology might have advanced further than us, and has replaced us in many capacities, but “her” finds a middle ground where humans and technology make one another more desirable. That we wouldn’t be complete without the other. With that quirky, off-the-wall craziness you can only get out of a Spike Jonez film, “her” is one of the most creative and heart-warming films in recent memory. One last time, we return my favorite film franchise. Since “Son Of Godzilla” and “Mothra vs. Godzilla” made my top 25, “Godzilla” is my third favorite film in the franchise, but this is the movie I respect more than any other. For what this film set out to do, given their budget and the attitude towards nuclear weapons in 1950s Japan, this could have easily failed. Instead, we got a dark and eerie look at how fragile life can be in the face of unrivaled strength and power. “Godzilla” isn’t just a great monster movie, but a great movie in general. Rather than focusing on a monster running rampant through Japan, we get a film about a weakened Japan attempting to combat such a threat, and the lives that are affected by this tragedy. Throughout the film, we watch as lives are crushed, burned, irradiated and ruined by something out of our control. 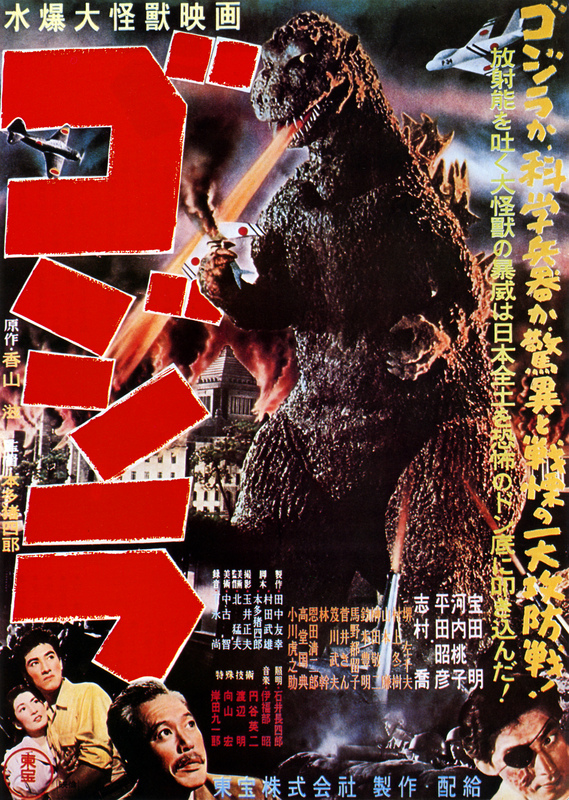 With effects that still hold up today, a creepy yet atmospheric score, and the theme of man’s evolution of weaponry taking shape, the Japanese version of “Godzilla” is one of the stand out monster films of all time. Rather than a monster terrorizing helpless people, we have a monster that never set out to hurt anyone, didn’t wish to be created, and yet is seen as nothing more than an abomination. We fear him simply because he is different and must perish because of it. Yet, Doctors Frankenstein and Pretorious play god and reanimate the dead just because they can. They attempt to set out and prove they are a higher grade of man by doing what no one else can do – decide to lives and who dies. All while one of their creations meets an old blind man, and takes him in to his home, feeds him, warms him back up and gives him a good night sleep. And in this case, who is truly the superior man? The second Spike Jonez film in these honorable mentions. Even I didn’t know how much I adored his films. Like Jonez’ other films, it is hard to nail down exactly what happens in “adaptation.” but what makes it far more difficult is the screenplay written by Charlie Kauffman, and then proceeds to make himself the main character of the film. We follow Kauffman as he attempts to adapt “The Orchid Thief” into a screenplay, but finds it impossible given the source material and his twin brother Donald, constantly interfering about how his screenplay is coming along. 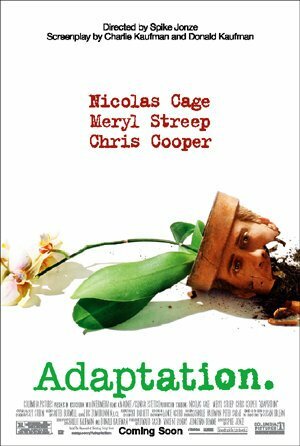 I have never seen a film like “adaptation.” and I hope I never do. It is about the struggle of a screenwriter who somehow gets wrapped up in the ongoing story, and then works all of that into his screenplay. Are we watching Kauffman as he writes the screenplay? Or are we watching his interpretation of how it all went down? Or are we watching a man’s slow descent into madness? I also love the overall message of the film and the realization that Kauffman comes to at the end of the film – You are what you love, not what loves you. An outstanding message for everyone. Part of the reason I love this film is because of how effortlessly the fantasy seems to come. Every character fits like a glove into the story, their motivation and dialogue feels natural and it all contributes to the narrative that never stops. “The Princess Bride” is beautiful to listen to, as their accents give way to crisp words said with passion and ferocity. Who does not get excited when Inigo Montoya finally meets the six-fingered man and has a chance to redeem his father? Who doesn’t adore the relationship between Wesley and Buttercup? Who does not get a kick out of the three trails that Wesley must endure to rescue Buttercup? But the other reason this film gets here is rather simple and often overlooked – that all of this is being told second-hand, as an old man tells this to his grandson. This is a story passed down through the generations, not as just a way to make people feel better when they’re sick, but to teach them about love and acceptance. 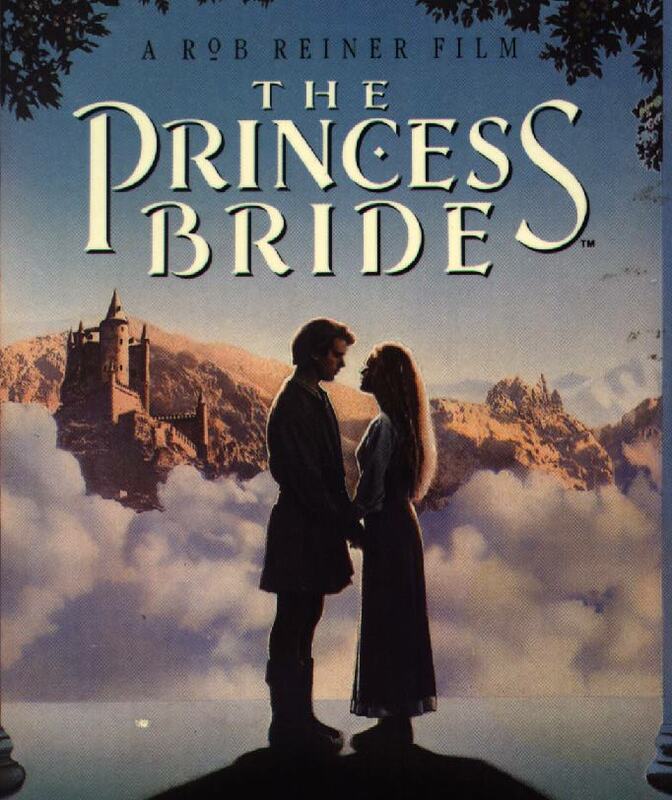 In the end “The Princess Bride” tells a story of two vastly different generations. One of fantasy and a fight for true love, and the other of a family growing close together through shared loves. To me, the scenes with Fred Savage and Peter Falk turn this film from a great fantasy into a timeless classic. Well, those are just some of the my other favorite films that could have easily made my top 25 if there was a bit more room. I hope you enjoyed the quick looks at each of those films. Like I said, I might take a deeper look at each of those films in the future so be on the look out for those. In the mean time, there is only one film left to look at this countdown – my favorite film of all time. If you’ve known me long enough, then you can probably guess what my favorite is. But if you only know of me through this blog, my top pick may surprise you. Just in case, here is a refresher of the previous 24 films on this countdown. Stay tuned, because tomorrow I will reveal my number one pick and my favorite film of all time. 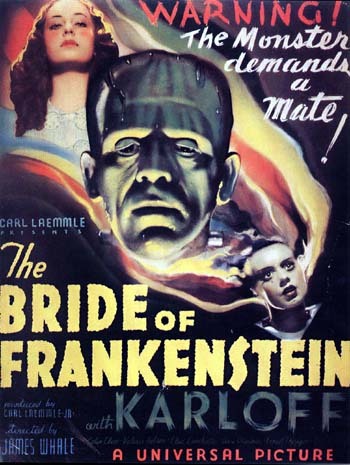 Paul’s Favorite Films – Number One!